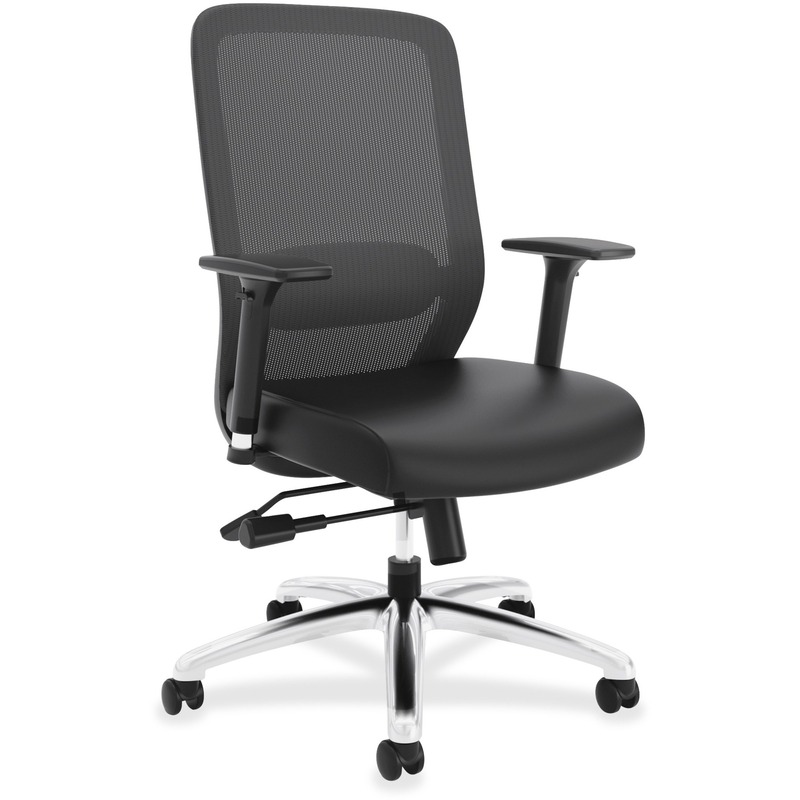 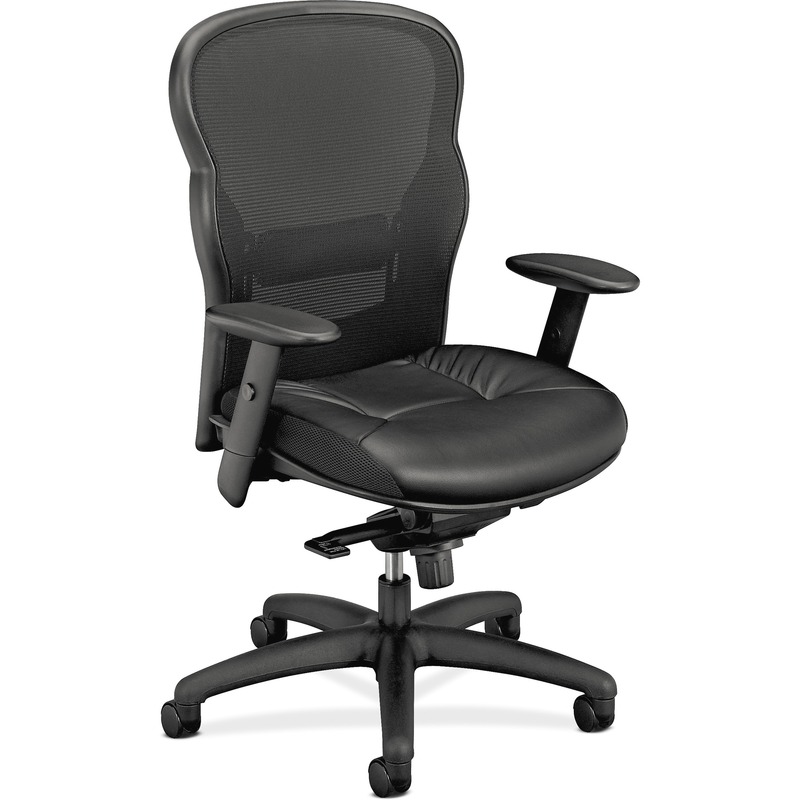 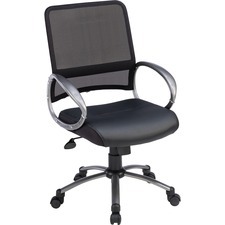 Mesh task chair offers a mesh back and bonded leather seat. 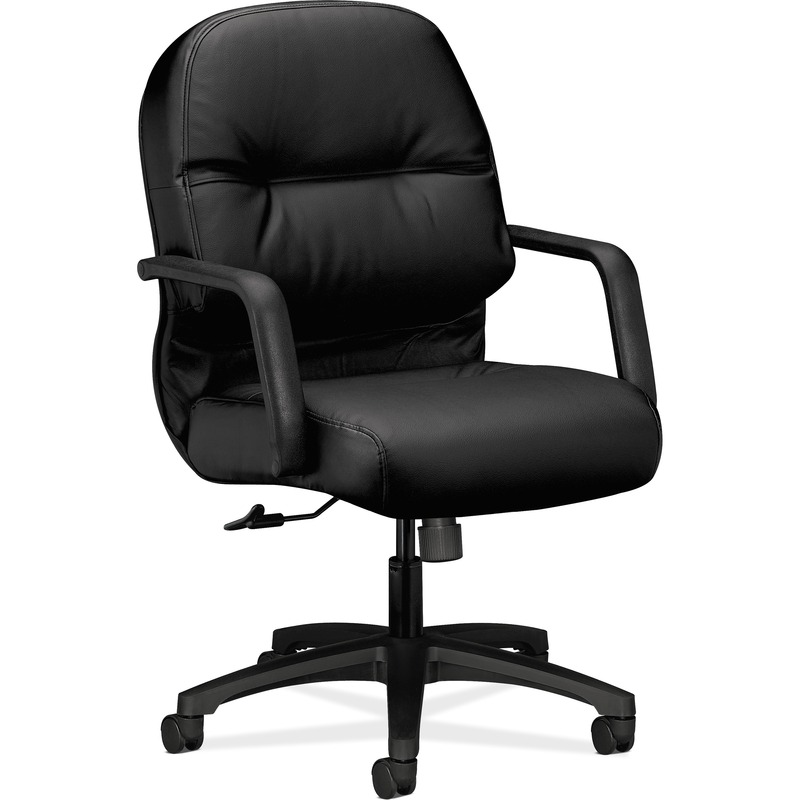 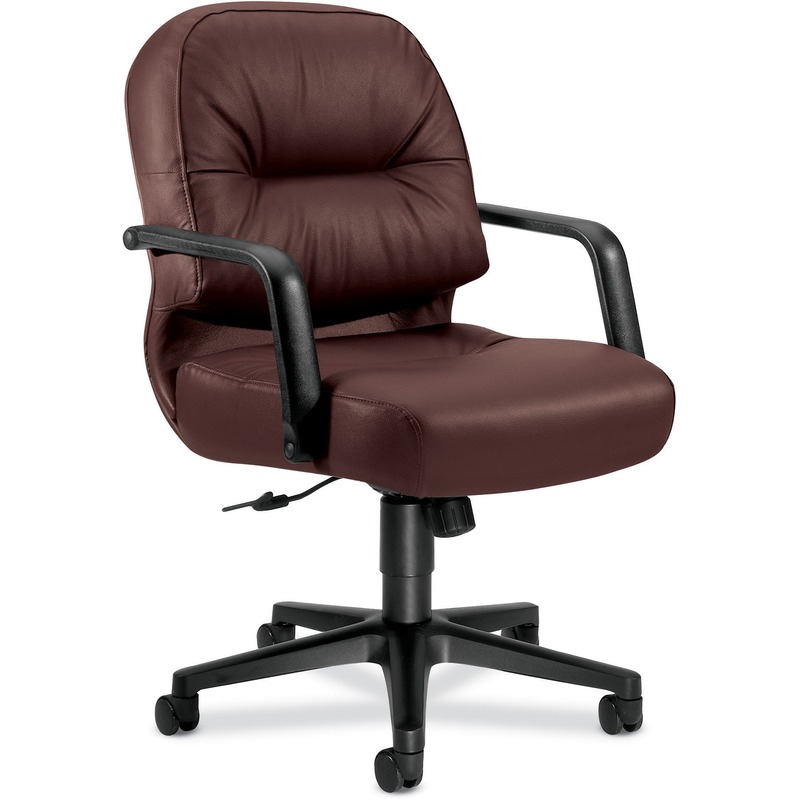 Functions include pneumatic seat-height adjustment from 18-1/9" to 20-20/23", 360-degree swivel, tilt, and tilt tension. 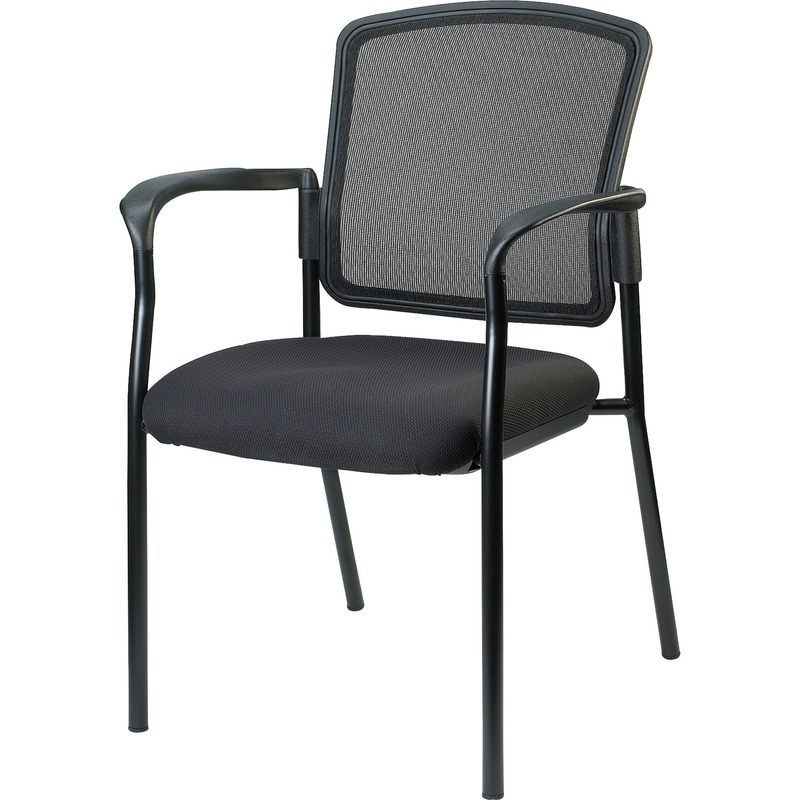 Mid-back chair also features a five-star base with hooded double-wheel casters for easy chair movement.